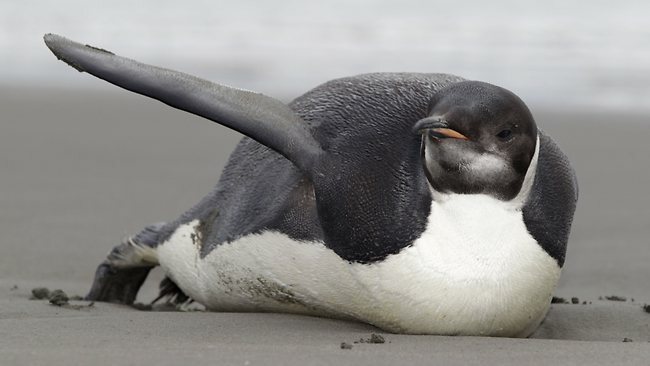 You might remember the sand-eating Emperor Penguin that literally washed up on a Kapiti Coast beach in New Zealand in June. Nicknamed 'Happy Feet', after the popular children's movie character, the penguin will be shipped out to sea on Niwa's research vessel Tangaroa on August 29. The penguin, who has lived at Wellington Zoo since he was found on Peka Peka beach, will be released in the Southern Ocean four days into the ship's month-long trip to the Campbell Islands, 700km south of New Zealand. On Sunday at Wellington Zoo Happy Feet will go under anaesthetic for the final time so a GPS tracking device can be attached to him. Is this a UFO? An Unidentified Feline Object?